Although we all have the ability to write, we usually lack the inclination to write. Writing is an art which can be only mastered through practice and effort. While writing is done professionally, it also shows up in multiple facets of our lives which makes it too important to ignore. Writing helps you introspect– I’m sure many of you have that moment where you believe yourself to be an expert on the subject but when it comes to writing all of sudden you’re at a loss for words. Our minds are a messy place and writing helps us focus multiple thoughts into one cohesive story. Having all your thoughts in one place helps you form a pattern, notice discrepancies and overall make sense of our chaotic mind. Writing can be quite therapeutic if you commit to it. Writing is a muscle that needs to be trained– You can probably get away with copy paste in school and college but come your first job, you’re going to wish you practiced writing more. Certain jobs like research and consulting require writing reports, which require style, thought flow and comprehensiveness. Even if you’re not going into those fields, most of the office communication is through email which has its own rules and nuances. By getting into writing early, you can develop your own style early on which will definitely help you stand out. Writing can get you noticed– There are N number of competitions that give you opportunities to write; from story writing, essay writing, case-study writing…etc. Participating in any of these, not only help to build your skills but also acts an opportunity to pad the resume. If competitions aren’t your thing, you can always write on social media. With social media becoming more important amongst businesses, people who manage a successful blog or twitter account have a leg up on the competition. Keeping aside the fact that maintaining a blog where you can express your own thoughts and musings is therapeutic by itself, the feeling of getting positive responses or even solicitations for help from like-minded people is enticing. Writing provides something to look back on later in life- While a picture is worth a thousand words, it’s just superficial as it cannot capture the innermost thoughts of a person. People are willing to risk life and limb (and their friend’s sanity) for the perfect selfie but can’t take an hour to write how the event made them feel. Writing will help you capture the event more holistically and even in the future look back at it with a smile or even share with your loved ones. I have nothing interesting to write about- While not everybody has the luxury of having an interesting story, the other side of an interesting story is the thoughts and perception of the writer. General musings about any subject can provide a fresh and interesting twist to any issue. I don’t like writing– I don’t like getting up at 7:30 in the morning to catch a HEAVILY crowded train but I still do. Tough it out. I can’t write good (P.S Error is intentional to prove a point)– The journey of a thousand miles begins with a single step. Like I said, writing is a muscle and in order to strengthen it we need to constantly train it. I’m sure in the beginning coming up with a tweet would be difficult but with practice you’ll be able to write a full blog in 15min. Pick the medium- Step one is to pick the medium you’re most comfortable with and which you can easily fit into your schedule. Some people may prefer maintaining blogs while others prefer to write articles for competitions or website. The important thing is to find a medium you enjoy so that you are encouraged to write and it feels more like an expression rather than a chore. 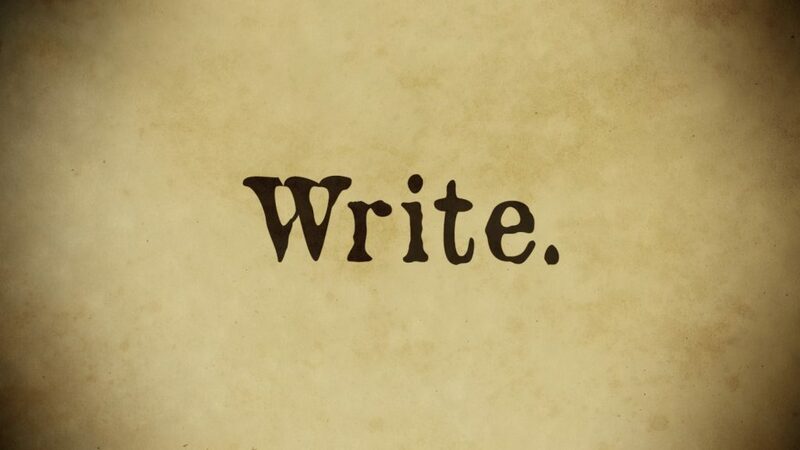 Write regularly- Try and write regularly so that it becomes a habit. Try and create a timeline on content generation and then stick to it. Fix a particular time in the day that you dedicate only to writing. Have no expectations– In the beginning you probably won’t really enjoy the process or produce any stellar material but the important point is to keep on trying and grow into the habit. For an MBA, writing is not so much a fringe benefit but an important tool in our arsenal. While an author or journalist has to sensationalize the truth, a manager must always be forthright, to the point and concise, which takes practice. Additionally, management communication is formal and requires a peculiar case of politeness which is hard to draft for the newly inducted. Having experience in writing helps you develop that flexibility and skill to write anything regardless the circumstances. In the end, whether you want to write or not, is your call but writing is an important skill to have, especially for an MBA. You can only get experience by actually writing. Click on Write A Story and get started!